The stock of telecom services provider has outpaced the market by gaining 10 per cent in four trading days, as compared to a 2 per cent rise in the benchmark S&P BSE Sensex. Shares of Bharti Airtel were trading higher for the fourth straight day, up 5 per cent at Rs 356 on the BSE in an otherwise subdued market on Tuesday. The stock of telecom services provider has outpaced the market by gaining 10 per cent in four trading days, as compared to a 2 per cent rise in the benchmark S&P BSE Sensex. On February 28, Bharti Airtel’s board had approved a Rs 32,000 crore fundraising plan, which includes a rights issue of Rs 25,000 crore and perpetual bonds with equity credit of Rs 7,000 crore (foreign denominated). The rights issue will be raised in the ratio of 19:67 (i.e., 19 shares for every 67 shares held) at a price of Rs 220 per share. This implies 1,134 million rights shares, resulting in post equity dilution of 22 per cent. Bharti Airtel is yet to fix the record date for the purpose of determining the shareholders who will be eligible to apply for the rights issue. 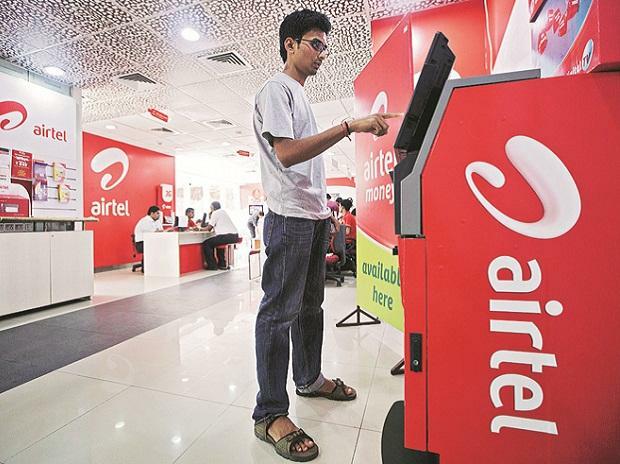 The company said the promoter group of Bharti Airtel, including the Bharti group and Singtel, would subscribe to Rs 11,786 crore in the rights issue, one of the largest such exercises by an Indian company, while GIC will subscribe to Rs 5,000 crore by way of renouncement in their favour. The fresh capital infusion will help us to continue our investments in future rollouts to build large network capacity and create content and technology partnerships to ensure the best customer experience, it added. On March 19, Bharti Airtel had transferred additional 16.76 per cent stake, worth Rs 10,000 crore, it held in telecom tower arm Bharti Infratel to Nettle Infrastructure Investments in two tranches, according to a regulatory filing. Despite the steep dilution, the fundraising plan is a positive step which will allow Bharti Airtel to be self-sufficient and manage operations without any ARPU increase, according to brokerage firm Motilal Oswal Financial Services. Meanwhile, Bharti Airtel dominated broadband additions at 10 million in January 2019, leading for the first time since the launch of Reliance Jio in September 2017. While some broadband additions for Bharti Airtel could be due to the bundling of broadband data with minimum monthly recharge, still see this is an encouraging sign, according to analysts at Elara Capital.